Eclipse will then request the Arduino specific information in a new window. select your board, the correct port, etc. and click on “Finish”. Now you should see the project in the project explorer. 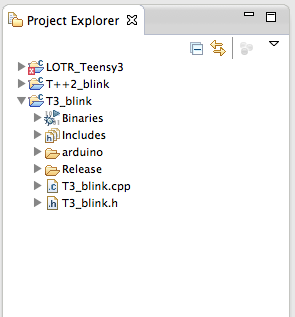 Open it and open the T3_blink.cpp file with a double-click and it will open up in the center pane for editing. Click on the “Verify” button to compile the program. Make sure you have highlighted the project or a file in the project in the project explorer. Otherwise this button will be greyed out. Hi, I tried this and compilation works fine. and thats it. Progress (avrdude) gets stuck and I can wait endlessly. I know that Jantje, the author of the plugin frequents this often. I personally don’t use Arduino boards but almost exclusively the Teensy3.x boards from pjrc.com. As small like as a micro, but less expensive, and much more powerful. Good luck. Hi, when I try and compile my sketches I get this in my CDT Build Console. make: *** No rule to make target `/Users/justein/Dropbox/Arduino’, needed by `test1.elf’. Stop. Hi, when I try and compile I get this in my CDT Build Console. I believe it always does that the very first time one compiles code. However, the compilation should still have taken place and you should be able to upload. I have the problem that when I create a Project I get a error code and an new project folder without content. Do you have any idea why can that happen? What OS are you working on and with what version of Arduino and The Plugin are you working ? How did you go about creating the new project ? many thanks for creating this up-to-date guide. Ardunio.h would not #include stdlib.h, math.h, avr/pgmspace.h, avr/interrupt.h, etc. Basically everything under “%arduinoRoot%/hardware/tools/avr/avr/include”. 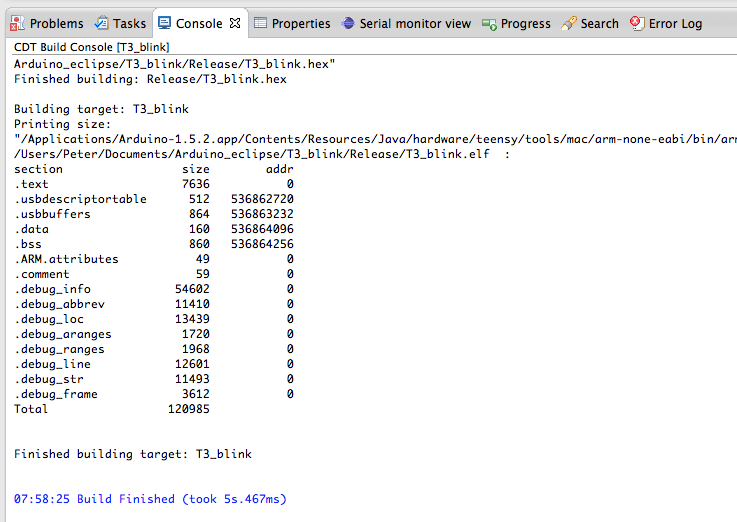 I suspect I’d done some rookie mistake with the PATH variable and Eclipse itself got lost. Cheating, I copied the files and directories in “%arduinoRoot%/hardware/tools/avr/avr/include” to “%arduinoRoot%/hardware/arduino/cores/” and all is okay. The other gotcha, ‘Make’ does not like S P A C E S in the workspace name??? When the Workbench directory was called “Arduino Test” the compiler stopped dead yeilding that “No rule to make target” message. Altering the workspae directory to “ArduinoTest” built the hex file as expected. How curious? Maybe the command needs quotes round the file name? Anyway, thanks and stay trippy. Hi Andy, I appreciate the feedback. I am glad you got it working. I had forgotten about the tip with the spaces in the workspace name and will add it to the instructions. For something that’s supposed to be easy to install, this is NOT easy. Any help would be great. Thanks. What OS and what board are you using ? 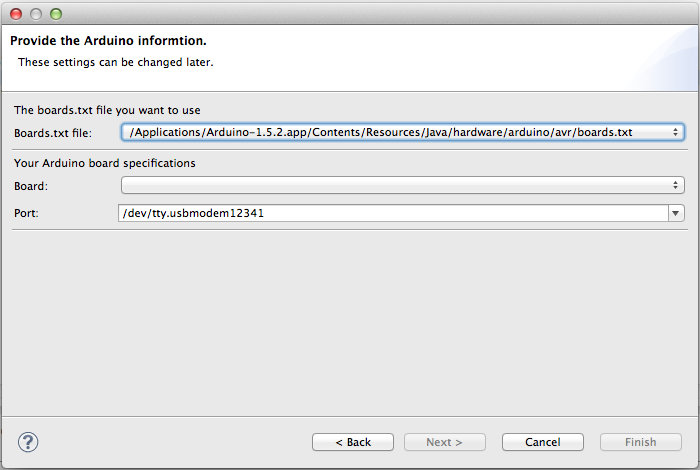 I believe V2.2 of the plugin is not compatible with Arduino 1.5.6, or 1.5.7. On my Mac I just downloaded a build for the Product (Bundles Eclipse and the plugin so no separate downloads necessary) from here http://www.baeyens.it/eclipse/download.php and an Arduino 1.5.5 from here http://arduino.cc/en/Main/OldSoftwareReleases. I did not encounter compiling the blink example for an Arduino Uno. Maybe try the newest version of the Arduino Eclipse IDE 2.3 if you must stick with 1.5.7. I followed each step, and how have a working Eclipse Luna CDT with the Ardiuno Eclipse plugin 2.4, able to compile and upload to Teensy 3.1! This is a dream come true 🙂 Now I have the power of Teensie and flexibility of Eclipse. Glad to hear it is working for you. Thank you very much as well. That sort of feedback is actually very rare! I am still on V2.2 of “the product” and have not upgraded it for a while. Are you running this on a Mac or did you follow the Windows instruction ? Also, are there any updates necessary to the instructions or do they work out of the box for V 2.4 ? I must honestly say that I enjoyed this piece of work. It’s the first time I could get something working the 1st time without any hiccups. I followed your instruction 100% and got some of my old Nano code working and uploaded to the processor. Another world opened up for me. I do not know Eclipse and I did not know of Jantjes. One question comes to mind (always not so). I want to group now function (procedures) together for ease of maintenance. I do one do that in Eclipse? Hi, can you tell me how can I upload my programs to Arduino using USBasp? I can’t see that option in this Arduino Eclipse IDE. I’m currently compiling for an Arduino Uno, however the code is going to be for a due. I’m using Arduino 1.5.8 IDE and the latest plugin code drop as of today for 64bit. Any thoughts as to what I’m missing? No, unfortunately I have never encounters that form of error message with the simple blink sketch. It is about as basic as it can get and should work. You could ask this question on the Arduino Forum in the thread for this plugin. I created a sub menu item “Other resources” that has a link right to the forum thread so you don’t have to search the Arduino Forum for it. You did not mention what OS you have installed this on, but I am going to assume it’s either OS X or Linux as in the Windows platform 1.5.8 ha a bug that the plugin informs you about. Also, did you install the plugin, or one of the stable or nightly builds that bundle Eclipse and the plugin ? your explain tutorial works very good, at the first time i feel disapointed because i canot upload a program but the trick was firs click on the verify button first before upload the sketch. This is rare feedback. Thank you very much! excuse for my bad English, I feel so happy, because to add AFMotor library to the arduino eclipse project just I was cut and paste the AFmotor.cpp and AFMotor.h into the existing project and i can modify parameter at my convenience in the mentioned files for my custom projects., I am mechanical electrical engineer and this knowledge is very fascinating for me. It does not compile the source, and I have no Idea why. Any suggestions, do I have to add the Source somehow? 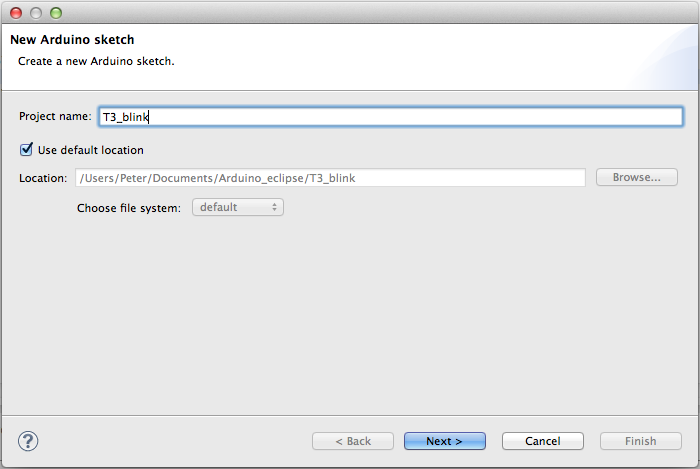 If you are out already pretty familiar with working in the Eclipse IDE my suggestion would be not to follow Neil’s instructions but to load down the latest nightly build of the Arduino Eclipse IDE ( version 2.4). Unless you have a VERY compelling reason to use Eclipse Mars standalone and the install the Plugin separately. 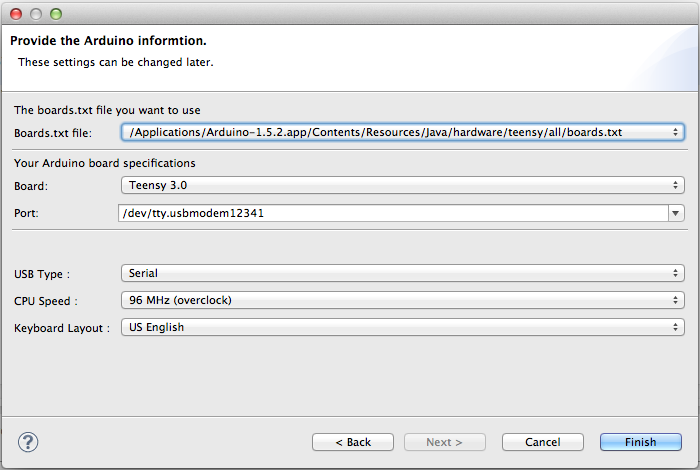 Do not use Arduino 1.6.6 yet as the Arduino Eclipse IDE does not work with it yet. Then try if you can compile source. If that works, perhaps you can check out what the differences are between the installations. Will it work in arduino-uno ? I am new to Arduino. I have a task to pass some data from a webpage to Arduino based code. I need to fetch the data from user from a web page and pass the input to the arduino program via java code. 1. Do we have any other way to integrate the web page with the arduino code directly without a middleware? 2. If not,how should I integrate the webpage,middleware(java) and the arduino program. 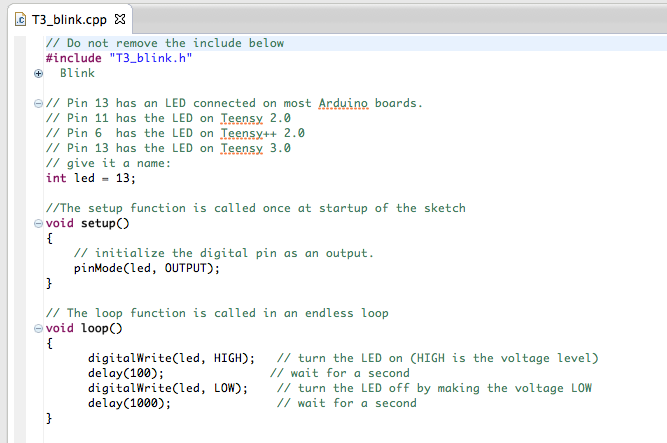 This blog refers to the Arduino Eclipse Plugin/IDE only. The Arduino Eclipse IDE is not a tool for beginners and you should not be using it until you have more experience with Arduino and programing in general. There is an Arduino Forum at http://forum.arduino.cc, which you should be asking these questions in. 2. do you want to access web pages from your Arduino. Your question clearly indicates that you want to access web pages from your Arduino. There is a host of information available to do either and I believe some Web examples come with the installation of the Arduino IDE. But, again, the Arduino Forum is a better place to find that information. Unable to connect serial port: No Serial Ports are shown (list box grayed out) in New Arduino Target Dialog. Using eclipse Neon.1.a Release (4.6.1) Ubuntu 16.04.